Students always ask me the best way to develop speed. I believe this article from my SiGung’s website provides a good starting point on this subject. Enjoy! Recently an acquaintance gave me a copy of QiGong/KungFu Magazine, the March 1999 issue, which featured an article written by Master Ron Heimberger. My friend did not quite understand the principles that Master Heimberger was trying to elucidate. Because of my background as a private student of Yip Man, and my subsequent involvement in Wing Chun Kung Fu, he thought I might be able to throw some light on the subject. 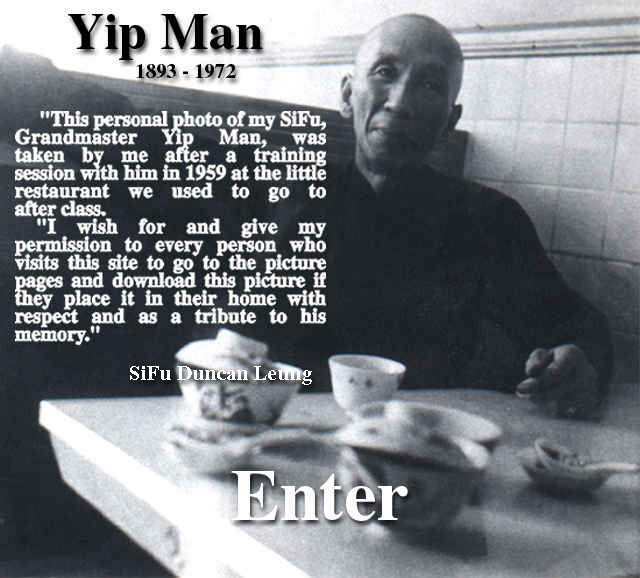 I ask the reader’s indulgence for my attempt to explain what Yip Man taught me. Since my English is not very good, I read the article several times. I am glad that Master Heimberger is kind enough to take the time to educate the public. If all Wing Chun instructors possessed an open mind like him, amenable to reason, and were willing to go to the trouble of explaining their ideas and experiences to others, I am sure it would benefit everyone interested in the art. However, there are some parts in Master Heimberger’s article with which I do not agree. Certain points that the author makes are somewhat obscure to me, particularly his references to Jacob Bronowski and Albert Einstein. For example, Master Heimberger mentions that Bronowski — commenting on Newton’s Second Law of Motion — said that force equals mass times acceleration squared. This confuses me because, as I understand it, Newton’s Second Law states that S F = ma, which does not square acceleration. 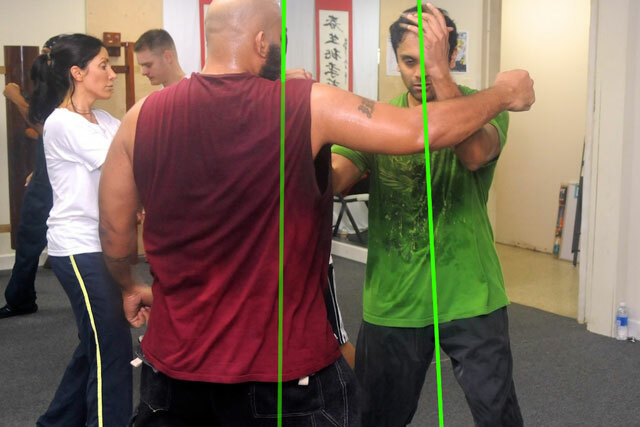 Since Mr. Heimberger discusses speed in Wing Chun, I would like to take the liberty to share my interpretation of the principles and theories about speed based on what SiFu Yip Man taught me and on my own experience. Naturally, what I write here is filtered through my own perceptions and prejudices; I certainly do not claim to speak for the Wing Chun family, and would welcome any correction that is offered. That certainly would help me improve. It is my hope that many Wing Chun members will share their ideas with all of us, no matter who they have learned from. The experience of using the Wing Chun techniques in fighting is what counts. After all, no single fight is the same. We can always learn something new, or — win or lose — find out something from each encounter. “A great teacher is one who makes himself progressively unnecessary.” – Thomas Carruthers. 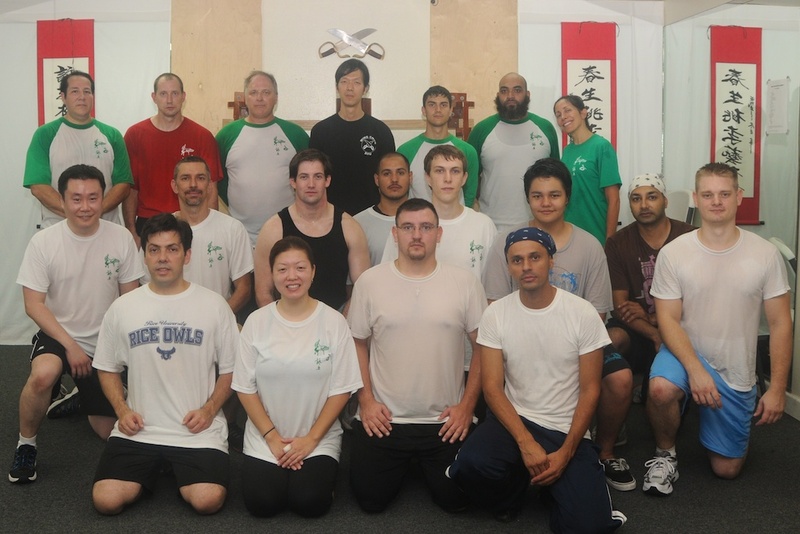 At the Wing Chun Kung Fu Academy, our focus is to teach practical and effective applications for self defense. 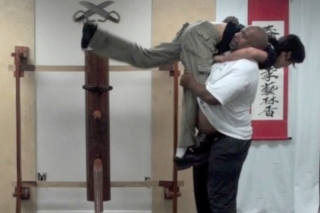 Of course, everything we do is taught from our core Wing Chun concepts, engaging the student’s body, mind, and spirit. 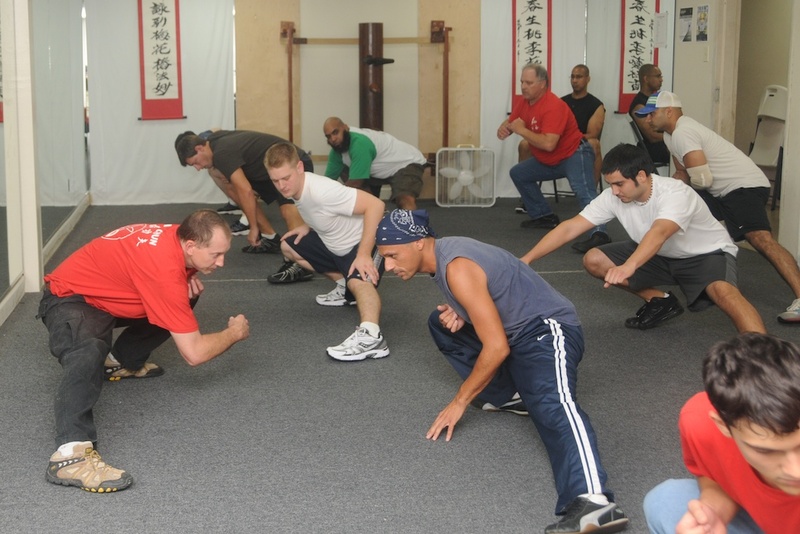 Students learn to protect themselves in any and all self defense situations. The most meaningful of these are of course based on a student’s own experiences and life. In other words, not only must they be learning a martial art that is practical and effective, this martial art must be applicable in the student’s life. Drills, patterns, and technique are not enough. 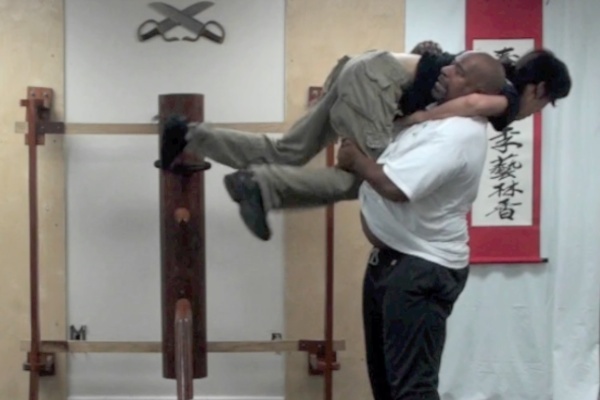 At the Wing Chun Kung Fu Academy, we do not simply teach techniques and drills. We teach underlying concepts that help a student simplify potential self defense situations, and help foster their own intuition and reactions. This mental development is backed by physical application (drills and simulations) and mental and spiritual drills (reaction training, awareness training, relaxation development). From our SiGong, SiFu Duncan Leung‘s website http://members.tripod.com/wing_chun/. DURING THE EARLY FIFTIES in Hong Kong the Chinese martial arts were very popular to the young people and the working class. There were all kinds of styles available such as Hung Gar, White Crane, Dragon Style and Choy Lai Fut, but Wing Chun no one had heard of. A young man from Foshan, China, Yip Man, was there in those days. He learned the style in China and later on furthered his training from Leung Bik. He began his teaching in the Restaurant Association. Later on he had his own little school in his house in the resettlement area with 100-150 sq. ft. of space. Years went by and he had taught quite a few good students; therefore, the style was becoming known to the public. At that time different styles challenged each other privately and often. Early students from Yip Man like Lok Yiu and Wong Sheung Leung were the most active and did very well in all the fights. The Kowloon Motor Bus Company main service station was located only a few blocks from Yip Man’s school and the workers were first to join the school after the restaurant workers. Then the school kids from nearby St. Frances Xavier started to join including Bruce Lee and Hawkins Cheung. The economy was very bad at that time. Refugees from China entered Hong Kong by the hundreds daily and finding a job for everyone was hard. Wages were low and the hours were long. This made it very hard to find time for students to train. The early students like Leung Sheung, Lok Yiu and Wong Sheung Leung opened their own schools and some like Tsui Sheung Tin began to teach privately. Now, 40 years after Yip Man’s death the Wing Chun family is drifting further and further apart. Without leadership, some begin to teach in their own way and some criticize others who do not agree with their way of teaching. Some even develop theories which Yip Man never taught. 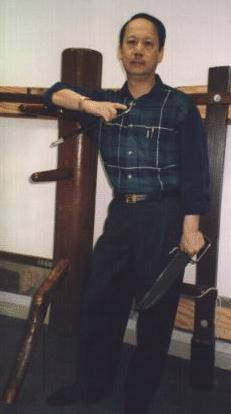 There are also those who claim that they are the only “true” teachers of Wing Chun. 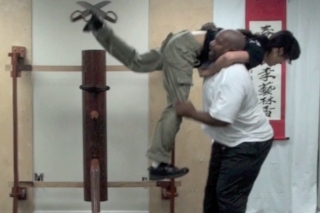 They suggest that the only legitimate teachers of Wing Chun are those whom they have tested and found qualified. Unfortunately, such claims detract from the credibility of the entire movement and will serve only to divide the Wing Chun family. Wing Chun is a style of martial art we are talking about, an art of fighting. One has to learn and train with it for a long period of time. One has to use it in fighting to gain the applied experience. This is very serious; it can lead to life and death. It is not something you pay me money for and I xerox a copy for you. It is not that simple. Anyone who learned, trained, and fought with it for a long period of time should have understood some truths of the art. How can anyone discredit all other’s experiences and call himself the only “true” artist in the world and try to lead others with such an attitude? The basics of Wing Chun are exhibited in the forms that Yip Man left us, but principles and theories were verbally instructed by him. Each one may interpret the ideas a little differently. I am sure Yip Man would be happy to know if we, who learned from him, would carry on the benefits he gave us. I learned to apply what Yip Man taught me. 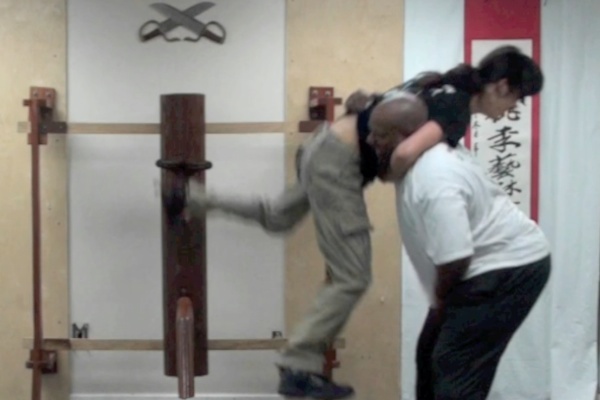 So, my style is Applied Wing Chun®. Others have their interpretation of what they learned from Yip Man. If we could have a good leadership to unite everyone together, to exchange and to accept each other’s experience and ideas with open minds then Wing Chun could thrive. Everyone would benefit in the knowledge. Without this strong bonding and support among Wing Chun members the principle and theories Yip Man left us will be diminished from generation to generation and one day no one will recognize the style. Then Wing Chun will be just a name in the history of Martial Arts.